Mr. Larland Wright Simmons, 73, of 6510 Rock Quarry Road, Elm City, NC, passed away on November 5, 2018 at Curis Nursing and Rehabilitation Facility in Wilson, NC. The funeral service is scheduled for Friday, November 16, 2018 at 1:00 pm at Branch Memorial Tabernacle United Holy Church, 517 Hadley Street, Wilson, NC.Pastor Herman Lucas will deliver the eulogy. Burial will follow in Rest Haven Cemetery, Lane Street, Ext., Wilson, NC. A public visitation will be held on Thursday, November 15, 2018 from 4:00 pm until 7:00 pm at Stevens Funeral Home, 1820 Martin Luther King, Jr. Parkway, Wilson, NC. Mr. Simmons was preceded in death by his parents, Claude Simmons and Ruth Jackson Simmons and two brothers, Joseph Simmons and James Simmons. 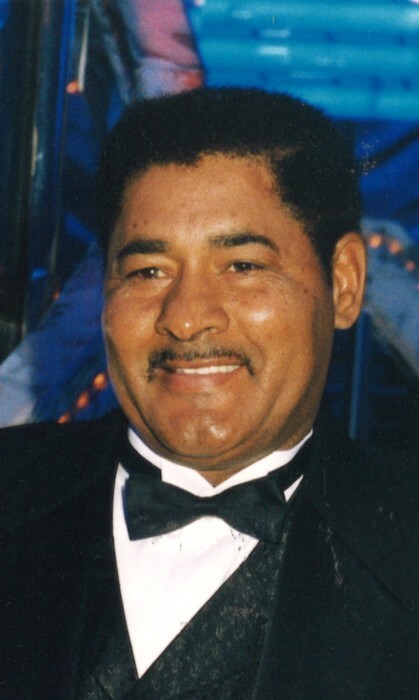 He leaves many loving memories to: his wife, Renda Hargrove Simmons of the home; two sons, Dwain Wright Simmons (Melissa) of Petersburg, VA and Derrick Donyel Simmons of Chesterfield, VA; five grandchildren; two sisters, Myra Simmons Harper (Richard) and Frenchie Simmons Miller both of Petersburg, VA; four brothers, Kaiser Simmons (Melvina), Gerald Simmons, Michael Simmons and Claude Simmons, Jr.all of Petersburg, VA; father-in-law, Reverend Russell Miller (Delores) of Wilson, NC; three brothers-in-laws, Charles Linburg Barnes (Irene) of Stantonsburg, NC, Clifton Earl Johnson and Ronald Miller of Greenville, NC; five sisters-in-law, Lena Adams (Harry), Shirley McKinney (Apostle S.E. McKinney), Geraldine Anderson and Beverly Miller all of Wilson, NC and Judy Yelverton (William) of Bailey, NC; a host of nieces, nephews, cousins, other relatives and friends. The family will receive friends at the home where they will assemble on Friday at 12 noon in preparation for the funeral procession.